iTunes 11, which, among other new features and implementations, is set for a major design overhaul of the store, was supposed to have arrived at some point last month, but thanks to numerous delays, has not yet seen the light of day. It’s scheduled to finally be shipping at the end of this month, and a post over at the MacRumors forums suggest Apple may have finally gotten iTunes sorted out. 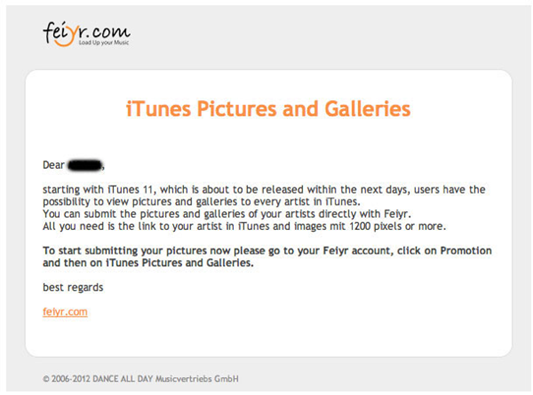 The post screenshots an email that was sent to artists by German music distribution service Feiyr, which says iTunes 11 is "about to be released within the next days." 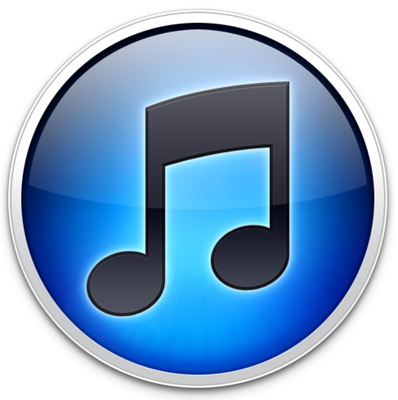 iTunes 10 has been around for a long while, and seen many new versions in the process – many of which have dropped alongside a new release of iOS or an iPhone, iPad or iPod. Apple’s music player has often been criticized for its bloated and sluggish nature, but since it can often be tricky to transfer files and content to and from your iDevice without it, many consumers – even those on Windows – are forced into some degree of interaction with the software. Not only is the app itself pretty substandard, but the layout of the iTunes Store has come under fire on more than one occasion. 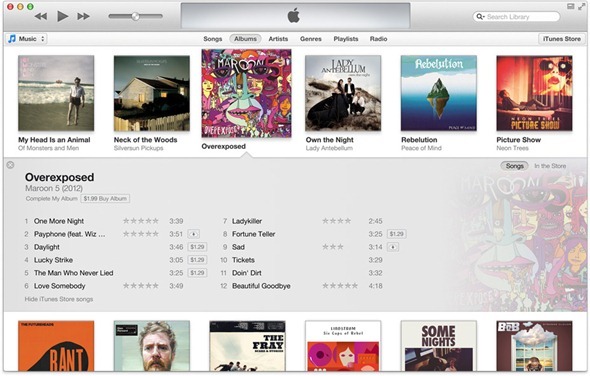 As anybody who regularly sources content from the iTunes Store could vouch, navigation isn’t the easiest, but iTunes 11 is set to provide a major overhaul and make the finding and downloading of content a great deal easier. With a new iPad mini, as well as a much-improved iPhone, iPad and iPod touch having just hit the market, it’s about time Apple sorted iTunes out and finally delivered a better-performing app. Thanks to iCloud, many of us don’t need to spend a painful amount of time trying to sync, only to encounter a bunch of errors which seem to differ with each attempt. We’ll obviously let you guys know when iTunes 11 does finally land, and will also give you a run-down of some of the new features once we’ve had a little hands-on experience. Providing no further snags are hit, it should be here before the end of next week, and although it has only a one month delay, the release is way overdue.